Memorial Day, May 28, is a reserved federal day to honor the fallen soldiers who died in battle. It’s the time we take out to remember those who’ve given their all to fight for our country and to celebrate their service. With the long holiday weekend, it’s an opportunity to explore some patriotic locations dedicated to those who have bravely served the red, white and blue. 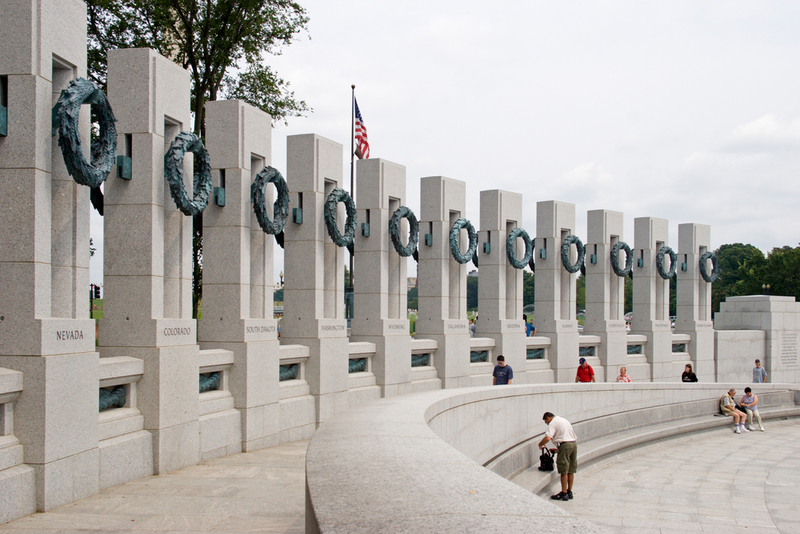 While some might opt to stay in and throw a barbeque, others want to get out and explore so here are four national spots you can visit to pay your respect and learn a little more about the soldiers who served their country. Washington DC is home to the most national monuments in the country. From the Lincoln Memorial to the Martin Luther King. Jr Memorial, the National Mall has a lot to see. Located within this reserved area are the memorials for World War II, the Vietnam War, and the Korean War all within walking distance of each other. Not only is this a place to learn more about the country’s history of brave soldiers, it’s a chance to get a sight of the country’s political epicenter. There will undoubtedly be military events for you and your family to enjoy during the long weekend. 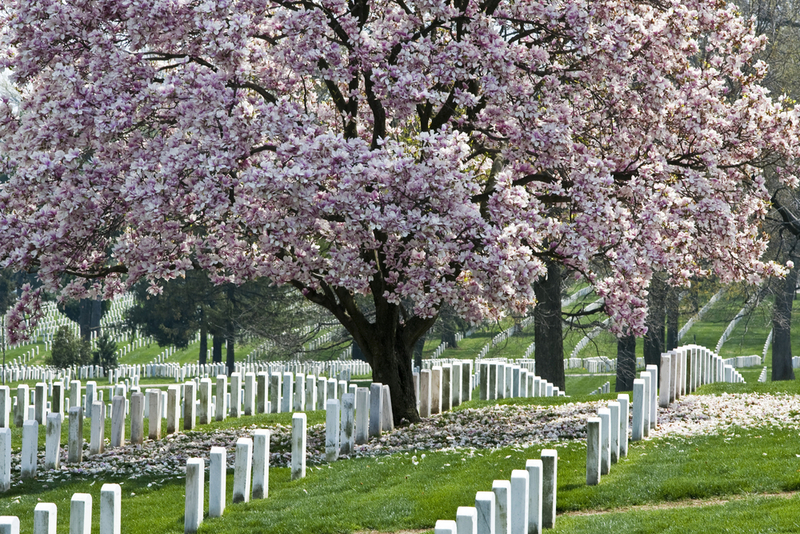 The Arlington National Cemetery is the burial ground for approximately 400,000 of those who died for the nation’s conflicts. Stemming back as far as pre Civil War, notable military heroes have been buried here. Presidents like William Howard Taft and John F. Kennedy are buried there, though Kennedy’s is marked with an eternal flame and is one of the most requested by visitors. The Arlington National Cemetery is one of the most patriotic places in the country and worth a visit, especially on Memorial Day. 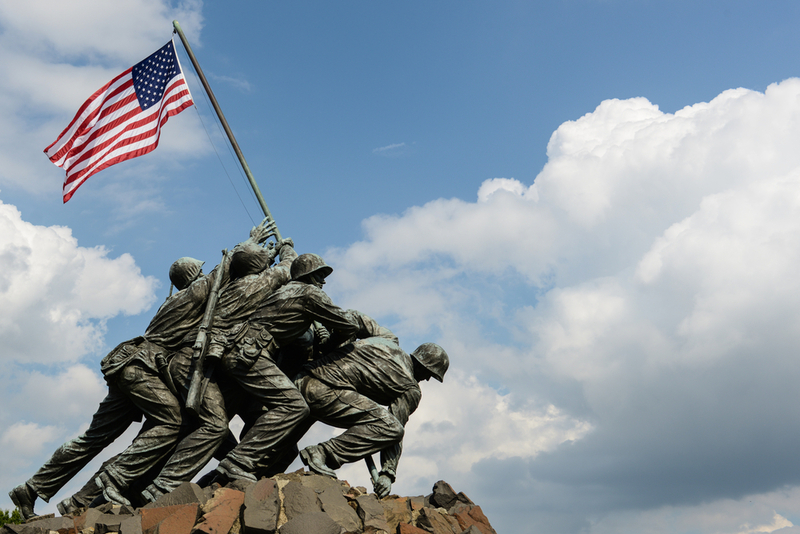 Bonus: Nearby the cemetery is the Arlington Ridge Park where the Marine Corps War Memorial, that shows the iconic raising of the flag in Iwo Jima is located. Take a day or two to explore and even make a road trip out of it while you learn and pay respect to the fallen soldiers from the Marine Corps who’ve died since 1775. 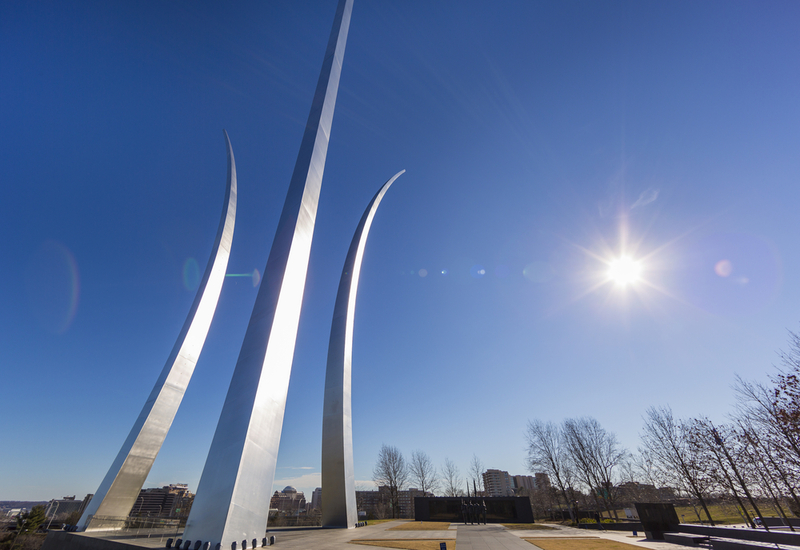 Located near the Arlington National Cemetery, the US Air Force Memorial was built to honor those in the Air Force. This branch of the military was founded in 1947 and the monument was unveiled in 2006. Located in Fort Meyer, this memorial is one of the more modern establishments that was created to resemble the contrails of the Air Force Thunderbirds. The three 201-270 feet stainless steel memorial spires rise high above and are quite the sight to see in person. 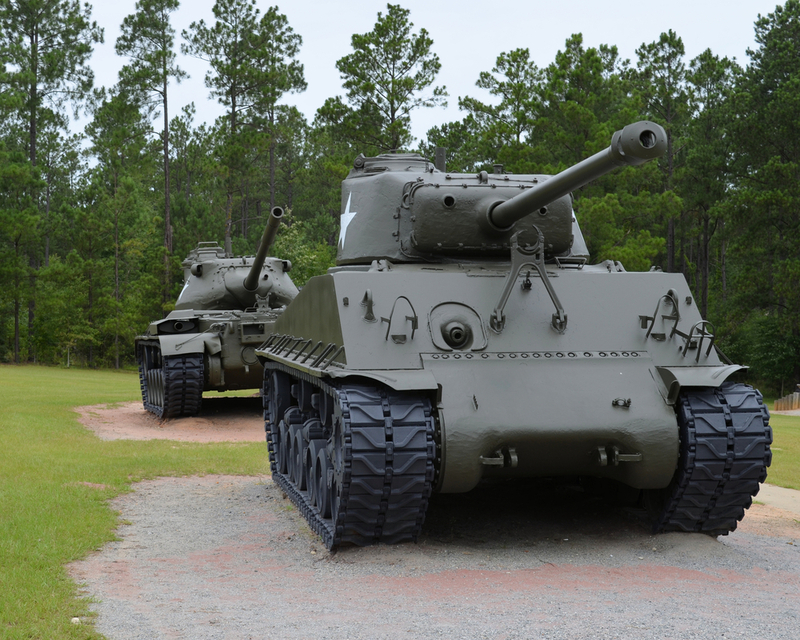 Established in 1931 the 1,308-acre park is home to a museum that has an array of military memorabilia such as an aircraft, vehicles, weapons, and uniforms that date as far back as the revolutionary war. There are also tanks, armored fighting vehicles, and a Boeing B-29A to see so you can get a first-hand understanding of their scale. This Memorial Day, it’s your chance to get in touch with the history and learn more about the past. Spend a little time in your day to thank those who’ve served the country and remember those who came before them.